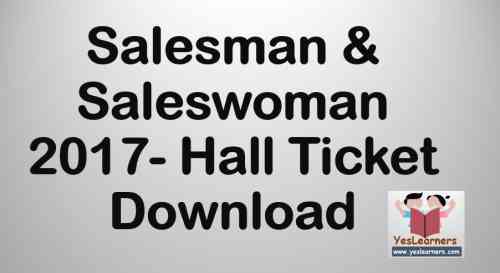 Download the Hall Tickets of Salesman / Saleswoman exam of Kerala PSC Now. Kerala PSC has done Hall Tickets of Salesman / Saleswoman exam to be conducted on 9th December 2017. Salesman/saleswoman part-i(general category) exam date id December 9, 2017. There are 830107 total Applicants for Salesman / Saleswoman (524/2013) exam. The exam will be held in two stages on 9th December and 16th December. Syllabus: An Objective Type Test (OMR Valuation) based on the qualification prescribed for the post. Main Topics:- Part I : General Knowledge, Current Affairs & Renaissance in Kerala. Part II : General English. Part III : Simple Arithmetic and Mental Ability. (Maximum Marks : 100) (Duration: 1 hour 15 minutes). The following shows the advice details of Previous Rank List of Salesman / Saleswoman.